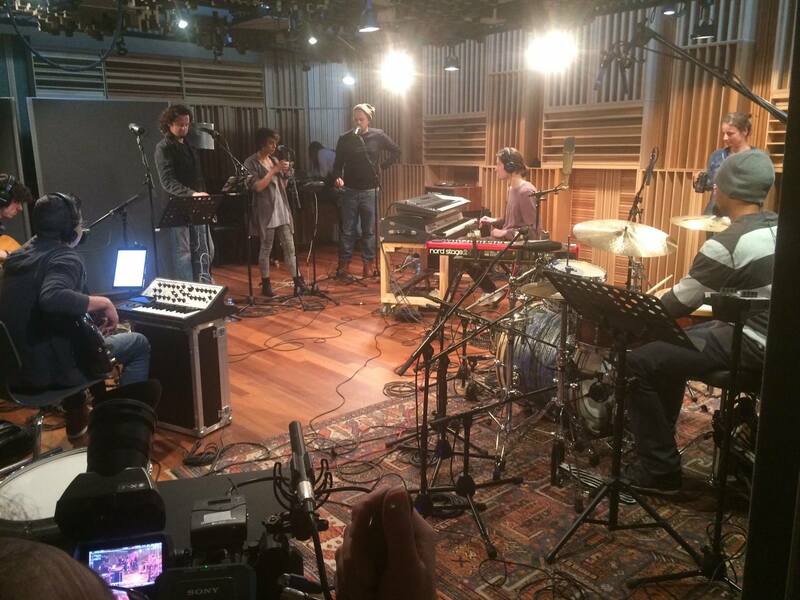 Three songs of my upcoming EP were recorded live at Studio Helmbreker in Haarlem, Holland. With the help of my amazing band I recorded three songs from my upcoming EP. We recorded each of the three songs a few times until we knew for sure we had at least one entire usable take we could use. It was an intense, exhausting but super fun day. Everyone went above and beyond to make sure we got what we needed to make what we wanted. When the recording was done though, there was a whole lot of mixing to do. Most of the post production was done at ‘The Gaddum Lab’, the studio of the amazing bass player, allround musician, super nice guy and my dear friend Glenn Gaddum Jr. Together we worked on the entire mixing process. My dear friend and acclaimed documentary maker Jacqueline van Vugt came to capture the entire day on film together with Sandro Ligtenberg and the amazingly gifted Harmen Commandeur. They really stepped up to the plate and came through for me taking some beautiful shots to make the registration of the day complete. Jacqueline and Sandro edited the entire bunch as well, for which i am intensely grateful! It turned out more beautiful then i could have expected. The video’s can be found HERE.